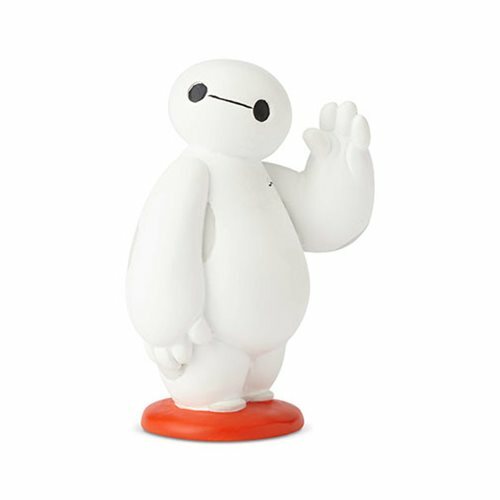 Say hello to Baymax, your favorite personal healthcare companion, in mini form! Baymax waves happily, introducing himself as the perfect gift for friends near and dear to your heart. Fans of the hit Pixar film will love this Disney Showcase Big Hero 6 Baymax Waving Statue. Made of stone resin. Measures about 3 1/10-inches tall x 2 3/10-inches long x 1 1/2-inches wide.